We have had these parts now for several months, but thought that they were worth a mention here. 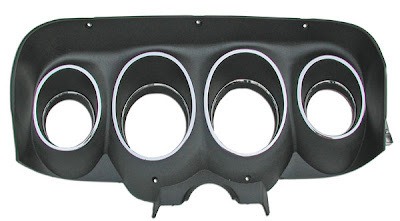 We have had customers asking for the 1969 and 1970 Mustang Instrument Bezels for quite some time. They are now in stock. The "chrome" on these original plastic bezels always deterioates over time. A new one can really make a big improvement to your Mustang's interior. Click here for the 1969 and here for the 1970.